There are a few pleasures in life that you won’t find alternatives to and one of it is to have a late night steaming bowl of the classic mac and cheese. Smooth cheeses, smoky paprika, and a crusty top of mac and cheese is a magical combination that has the power to lift anyone out of the darkest of moods. It is my favorite comfort food. Did you have a hard day at work or just feel a little down? Mac and Cheese is the perfect formula that puts everything right. 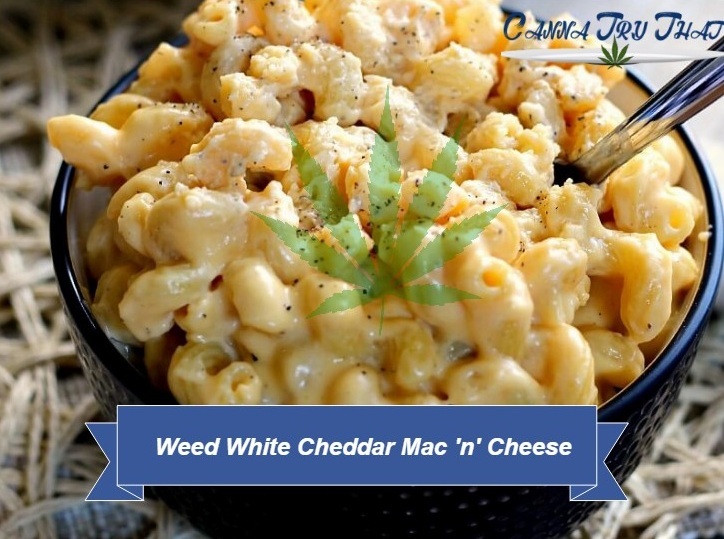 But what if there was a way to infuse your mac and cheese with a healthy dose of weed? Ah…heavenly. Well, let’s cut to the chase! Get a large sauce pan, put a liter of water in it and heat till it boils. Add salt lavishly and cook pasta, following the instructions on the packet. Stir pasta regularly to ensure that it doesn’t stick together. Drain the cooked macaroni and put aside. On low heat, slowly melt the cannabutter in another saucepan. Make sure it doesn’t smolder. Add in the flour and whip continuously until it turns smooth. Add in the warm milk, mix and cook for a couple of minutes. Next, add cheese, nutmeg, and paprika to the mixture. Spice with salt and pepper to taste and add the cooked pasta and bacon. Stir the entire mixture and remove from the heat. Add in and stir the finely chopped parsley, then transfer the mixture to a buttered baking tray. Mix the ingredients for the crunchy topping and spice with salt and pepper to taste. Sprinkle over mac and cheese. Bake entire mixture for 25-35 minutes until the top turns into a golden brown color. This recipe caters to 4 people but it’s always good to share. So, have fun!